Dance. Purposefully selected sequences of human movement. Aesthetic and symbolic value. Culture. Motion. Beauty. This film short experiments with desaturation and tempo; movement through the subtle grays of growth and change. This production reel gives you an idea of my travels through the Congo and what it looks like to be doing boots-on-the-ground research, attempting to answer the question, what effects on existing African cultures are occurring due to wildlife conservation and ecotourism projects in newly conserved regions of the central Congo Basin rain forest? This film examines how community-based conservation and sustainable tourism supported by affluent visitors from outside the country affects the survival of ethnic groups of Namibia, specifically the Himba and the Damara. As Namibia continues to develop and seek more foreign tourism, its population increasingly becomes part of the attraction to draw foreign travelers, and with continued urbanization, culture and heritage are profoundly threatened. 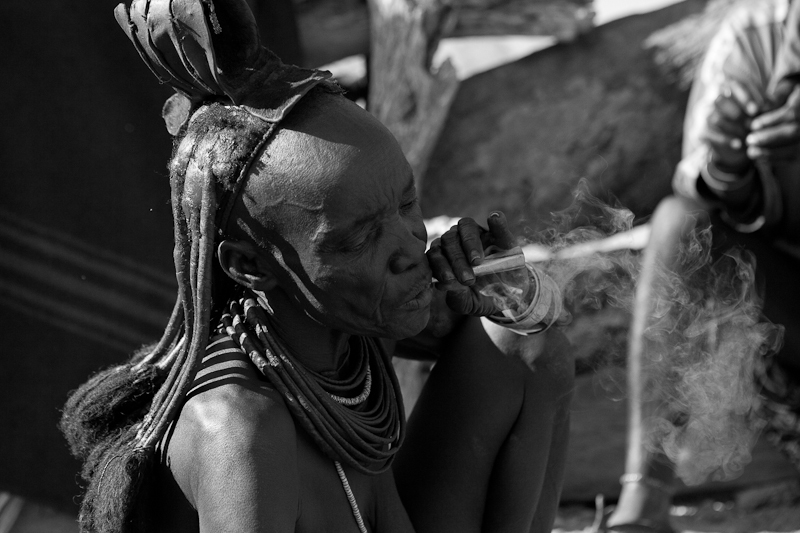 The documentary The Himba & Damara of Namibia: Cultures at the Edge covers Sandick’s journey into the most remote areas of Namibia to learn more about the impact of tourism on the Himba and the Damara ethnic groups. Layers. The Congo is like a complex piece of fruit, you have to peel back the layers to get to the meaty sweet part. The outside peel is bitter, dirty, rutty. Something like 10 million people live in and around the capital, Kinshasa. There is constant gridlock and pollution grays the sky almost everyday. The mighty Congo river is the life force of Kinshasa; supplying all of the imported goods to the DRC from around the world. And while there is a very visible level of western influence and globalization, there is still a very palatable taste of a developing country.